Data is a critical part of any effective sales and marketing strategy. GreenRope helps you organize, track, and utilize your data to help grow your business and provide the best customer experience to all of your leads and clients. However, data is only useful to you once all the information you have collected is organized properly. Most of our users fall into two categories before implementing GreenRope: either they have data in a system or they don’t. Now, we know that you are excited to get the GreenRope ball rolling, but in order for you to grow in the future, it is important you start with a strong foundation. So, to help you as your GreenRope journey commences, here are a few tips for organizing your data before you import it into your GreenRope Account. First things first, you must establish your goals. What are your main goals for implementing a CRM? You do not have to jump in and use all of it at once, you should build upon with each feature you implement. Is your initial goal to start sending out email broadcasts, lead acquisition, workflow automation, or maybe simply building your new website? Regardless of what it may be, you must establish what it is you want to accomplish first and use that as the foundation for organizing your data. Start with the data you have already, then think about the data you would like to collect about your leads and customers. Beyond name, email, address, etc, what are the custom data sets relevant to your business that you want to be able to collect and store in your CRM? *Because these are custom user-defined fields, select as many data fields that are relevant to your business. If you are a doctor and want to record a patient’s blood type, then that would be one of your custom user fields. Not every lead or customer is at the same stage, nor do they necessarily want to receive the same information. 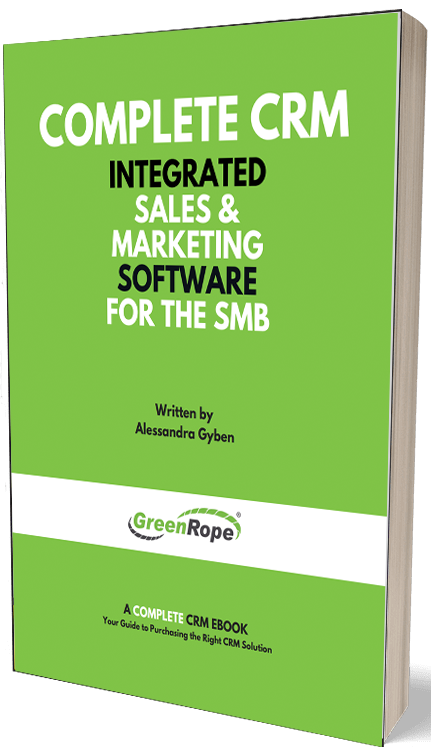 GreenRope allows you to easily segment your lists and target each with valuable and relevant content and information. Remember, leads and clients can flow in and out of groups based on their behaviors, so keep this is mind when you are developing your segmented contact lists. Once you establish your goals, user-defined data fields, and segment your contact list, then you are ready to import your contacts into GreenRope. Because each group can have their own signup forms, drip campaigns, tracking, etc, there are endless possibilities for how you can setup your sales and marketing strategies. For more information on organizing your data before the import, please review this GreenRope webinar.